Service Costs > How Much Does a Sam’s Club Membership Cost? How Much Does a Sam’s Club Membership Cost? Sam’s Club is an American chain of warehouse clubs that is owned and operated by Wal-Mart stores. Founded in 1983, the warehouse caters to more than 47 million members. In a warehouse setting, you can buy items in bulk. While it may seem more expensive up front, the items will also last you a lot longer. In order to get these savings, however, you will need to pay a yearly membership fee. A Sam’s Club membership will cost $45 a year for the basic membership. For the business membership, the cost is also $45 a year, and the Sam’s Club Plus membership is $100 a year. To get up-to-date information and details about each type of membership, refer to this official Sam’s Club membership page. Also, check this page as the club does offer discounts if you renew or even sign up for the first time. Sam’s Club offers three types of memberships: the Savings card, Business card and Plus card. The Plus card, being the highest tier, offers early shopping hours, an extra value drug list, optical plus member benefits, $10 for every $500 spent, an extra year of coverage with the purchase of a protection service plan and all of the inclusions of the basic savings card. The business card, which is the same price as a savings card, allows you up to add up to eight cards and also offers early shopping hours. All memberships include a 100 percent satisfaction guarantee, access to the fuel station, free health screenings, the hearing aid center, access to tech experts and the photo department. 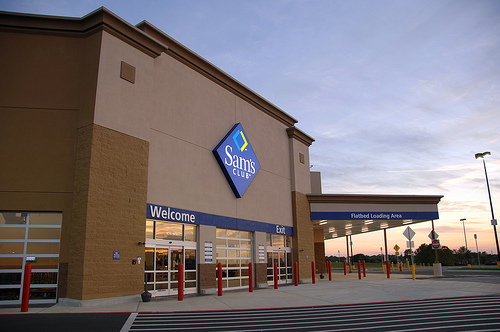 In late 2013, Sam’s Club raised their rates for the first time since 2006. The Sam’s Club Membership has a 100% satisfaction guarantee. If, for any reason, you’re not satisfied with the card, they will refund for any reason. Oftentimes, Sam’s Club will have special offers that include free gifts if you sign up for a membership either in-store or via a third-party website. For example, in the past on Groupon.com, they offered a free chicken, batteries and a few other items when you bought a basic membership. There were also times when they threw in free gift cards. With that being said, keep your eyes peeled for future promotions on the daily deal website or even by searching. If you have never shopped here before, they do offer a one-day pass to let you try the store out before you commit. LifeHacker.com has a few tips on how you can shop at Sam’s Club for next to nothing. Look into their credit card to save up to 2 percent on purchases. If you have a friend or an outside family member, consider sharing a membership. You don’t need an active membership to purchase alcohol, prescription drugs or see a doctor of optometry. Sam’s Club will offer an open house throughout the year when non-members are able to shop. You can shop at SamsClub.com without a membership; however, you will be charged a 10 percent surcharge when making your purchase.